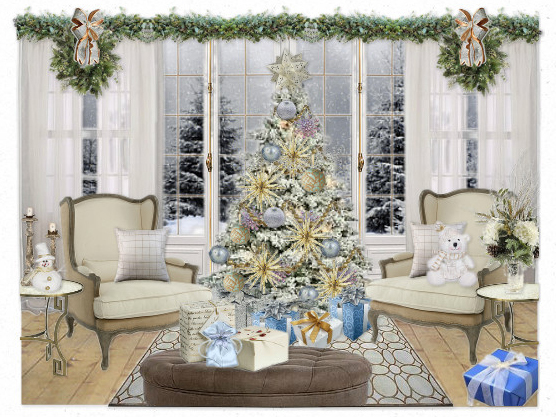 Big thanks to all who entered the My Two Designers Holiday Decor Design Contest on Olioboard. 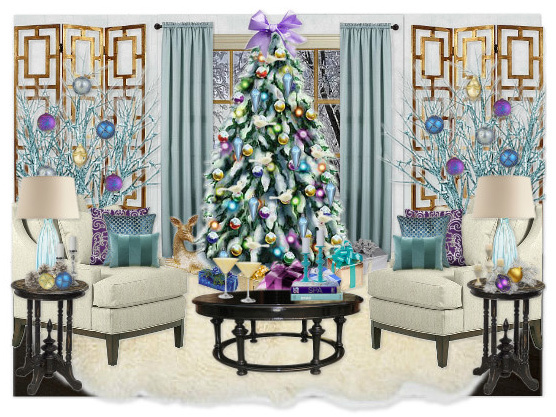 Congratulations to our grand prize winner Cre8 who will receive a $1,000 shopping spree on MyTwoDesigners.com. As a thank you to all who entered the contest, My Two Designers would like to offer a 20% off promo code which you will receive via email. Be sure to use this code before December 31st to get your discount. Here are just a few of the other spectacular entries that we thought deserved and honourable mention. Tikib’s take on and intimate holiday party for friends at a Miami condo won us over with it’s slick modern look and cool blue colour scheme. Beautiful work Tikib! I just love that tree! The classic colours and furniture style is a winning combination in Kari2011′s Blue and Gold design. 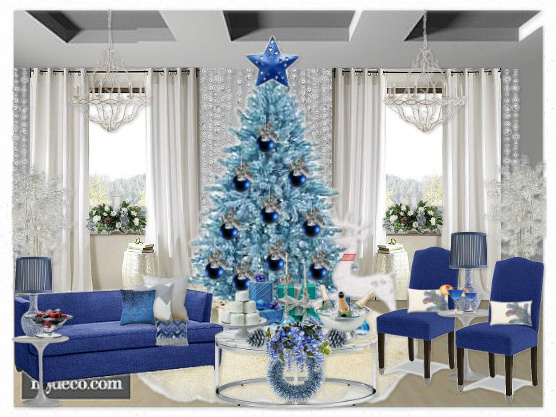 If you are not a fan of traditional colours and you are looking to spice up your holiday decor this year, take a look at this gorgeous design. 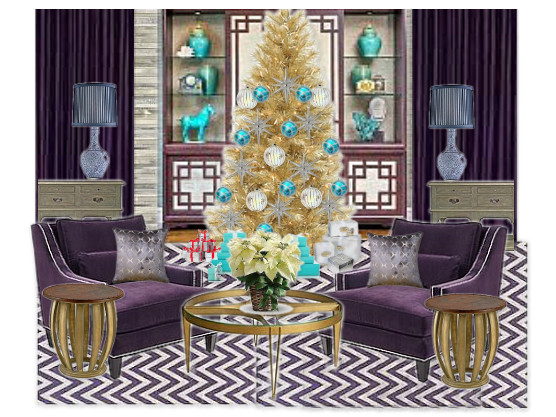 Swimen’s bold purple and gold design adds a touch of glitz and glam to the holiday season. Big thanks to our wonderful judge Jill Seidner the Los Angeles Editor of MaterialGirlsBlog.com and owner of Jill Seidner Interior Design, which handles both residential and commercial projects. Jill is also available for on site design consultations & online design services for anyone, anywhere. Her work is simply beautiful. You can see some of her projects showcased on her blog here. Last but definitely not least, we would like to say thank you to our wonderful sponsor My Two Designers for sponsoring this fun design challenge. Be sure to make good use of the 20% discount for entering the contest. Their collection is breathtaking. We’re sure you will be able to find something that matches your style.